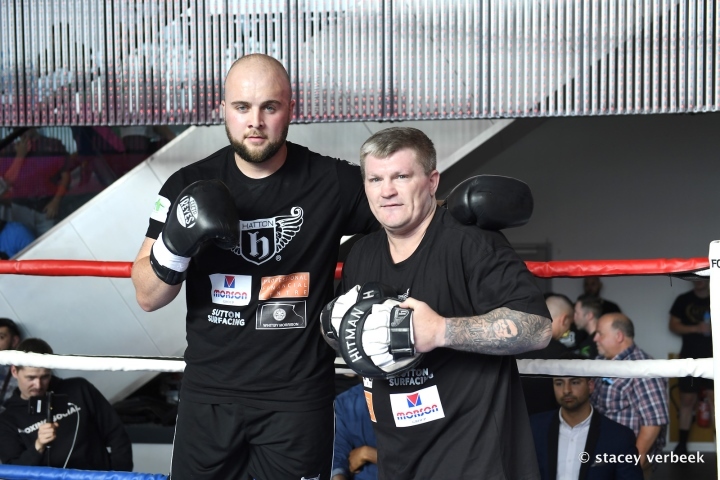 Leicester Arena, Leicester - Heavyweight contender Nathan Gorman (16-0, 11 KOs) continued the push for a domestic showdown with Daniel Dubois with a ten round unanimous decision over late replacement Kevin Johnson (34-13-1, 18 KOs). The sole score was 100-90 from the referee. Johnson is not easily stopped and went the distance with Dubois back in October of last year. Gorman was coming off a decision win over Razvan Cojanu, who Dubois easily knocked out a fight later. In a plodding type of affair, Gorman was just busier and doing more work. Johnson was not very active, looked really slow and was played defense for most of the fight. Gorman had a very tough time landing clean punches with Johnson using his big shoulders to deflect and holding up his gloves high. In the main event, Sam Bowen (15-0, 11 KOs) stopped Jordan McCorry (17-5) in nine rounds to retain the British super featherweight title. McCorry was deducted two points in the contest. Sam Maxwell came up with the finish of all finishes to secure his first title. The 30-year-old Commonwealth Games bronze medallist had to go through hell and high water to win the vacant WBO European super-lightweight title. Maxwell was forced to the canvas in the opening round, but stopped Sabri Sediri in the final round of 10 at the Morningside Arena in Leicester, exclusively live on BT Sport. He seemed to have had a pre-fight stress hangover as he was originally set to face Spain’s Kelvin Dotel before facing a fight week switch to the Frenchman. ‘Super’ Sam saw the canvas again in the second round against the heavy-handed, unorthodox puncher who brought an undefeated record to the ring. It was gruelling throughout and Maxwell walked away with a damaged nose and an injury to his left eye, but he will care not a jot as, with 14 seconds remaining in the fight, he threw a chopping right hand which laid out his foe. Sediri, to his credit, rose to his feet but staggered into the ropes and left the referee Steve Gray with no choice but to call a halt to the contest. [QUOTE=BigZ44;19611174]You mean Kingpin just came to survive and did nothing for 10 rounds??? I'M SHOCKED!!!!!!! [/QUOTE] Lol. Even in his prime that was his usual gameplan. Survive, don't get KO and thats his victory. Johnson took this fight on 2 days notice, gives you an idea how good of a prospect that fat bald guy is.